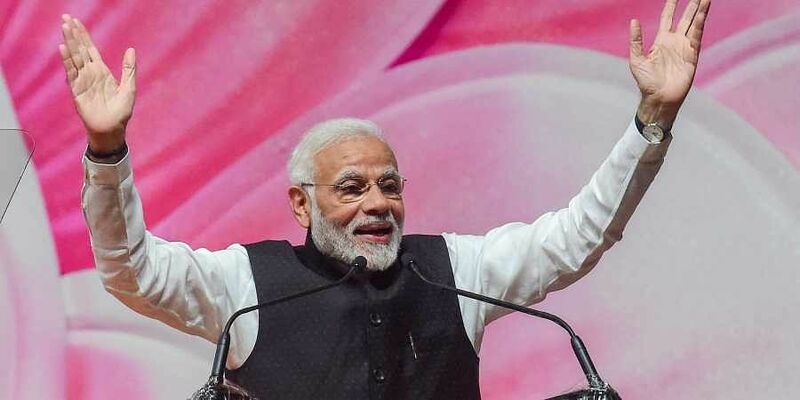 Prime Minister Narendra Modi urged people on Wednesday to think wisely before casting their vote and attacked the Congress. "Everyone is wrong, only the Congress is correct," he said, taking a dig at the principal opposition party. He said his government has changed things as it puts institutions above everything else." Modi said he wants to tell the Congress that "no amount of intimidation" will change the ground realities. "Curbing freedom of expression will not change people's poor impression of the party." "The Congress has imposed Article 356 almost a hundred times, with Mrs. Indira Gandhi herself doing so about fifty times. If they did not like a state government or leader the government was dismissed," he wrote. Referring to the judiciary, he alleged that Congress' contempt for courts "is anyway legendary." This pursuit of a 'committed judiciary', Modi said, made Congress overlook several respected judges while appointing the chief justice of India. Continuing his attack, he said, "When our forces strike at terrorist elements, Congress leaders accuse the political leadership of doing 'Khoon Ki Dalali. When our air warriors strike at terrorists, Congress questions that too." In an opaque reference to Congress chief Rahul Gandhi's brother-in-law Robert Vadra's appearance before investigating agencies, he said, "The sense of entitlement can be seen in their conduct towards routine legal processes. At present, their top leadership is on bail vis-a-vis a major scam. When the authorities seek to question them on their dealings, they do not even bother to reply."